LA TRINIDAD, Benguet – Persons with Disabilities (PWDs) and their representatives underwent Disaster Risk Reduction and Management (DRRM) training course on March 6, 2018 in Baguio City. The one-day course was conducted by the Office of Civil Defense Cordillera (OCD-CAR) in partnership with the Provincial DRRM Office and the Department of Education Division of Benguet, together with some local DRRM officers. Guadaliva Panitio, OCD-CAR training chief, said that the agency’s National DRRM Education and Training Program (NDRRMTEP) designed such course purposely for basic sectors including PWDs. “Our primary objective is to increase the DRRM awareness of the whole of society, including the communities, and strengthen their capacities. We are considering this initiative as the foundation to achieving community resiliency” added Panitio. Participants from different towns in Benguet namely Buguias, Bokod, Atok, Kabayan, La Trinidad, Tuba, Tublay, Mankayan, and Itogon were given tips on disaster prevention and mitigation, and emergency preparedness that are disability-inclusive. Aside from gaining knowledge on basic concepts, processes and importance of community-based DRRM, PWDs also shared their ideas and real-life experiences when it comes to cyclones, earthquakes, and other incidents. Formulation and use of evacuation and emergency plans especially designed for PWDs were also given importance. “As they say, disability does not mean inability. 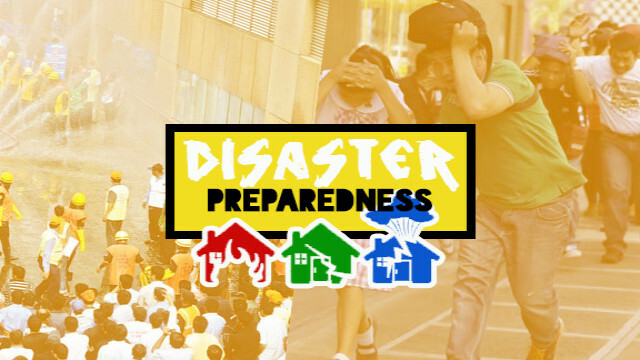 PWDs must also be fully equipped before, during, and even after disasters. We continue to implement programs like this for us to increase community-level support and participation” remarked OCD-CAR Dir. Andrew Alex H. Uy. Dir. Uy also mentioned that this could be one step to making DRRM efforts more accessible to PWDs. Disability-inclusive means making current DRRM activities more responsive to their needs such as necessary survival skills which include buddy system. Local government units (LGUs) are also encouraged to create databases providing the demographics of PWDs in their respective areas of responsibility, making it easier to craft evacuation plans for them. Since 2016, OCD-CAR has been conducting capacity-building programs for vulnerable groups such as senior citizens and PWDs. This year, it will continue to raise awareness among basic society sectors – farmers, students, disaster survivors, children, and other non-government organizations.